Can I do Consulting Work for my Capstone Project? If you have to complete a capstone project to earn your degree, you might want to consider a project that involves consulting. The project requirement is most typical when you are enrolled in a college course where students are expected to get both academic and experiential learning. While it is similar to a college thesis, this culminating project is an investigative assignment that lasts for the long term and requires a final presentation to receive credit. The purpose of the project is to challenge students to solve problems, develop skills sought by employers, and to give students the encouragement to think critically. If you would like to eventually work as a consultant in the private or public sector, read on and find out what you can do throughout the semester and where you can work to fulfill project requirements. Capstones require students to take on new professional responsibilities while they are still focused on academics. While some high schools are now assigning capstones, they are most common when earning a graduate degree. The type of capstone project chosen typically illustrates your educational and career intentions. This is why individuals interested in entering the consultancy world will choose capstones that involve being a consultant. 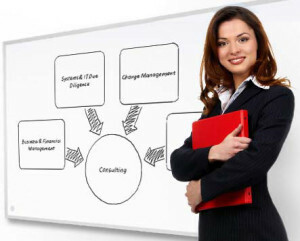 There are several different industries in the public and private sectors in which you can work as a consultant. For example, if you want to be an environmental consultant, it is important to look for projects that can be completed with a firm or agency that focuses on sustainability. You can do consulting capstones with Environmental Protection Clinics or Business Sustainability Clinics. These clinics welcome students who are doing their capstones to come and offer fresh ideas or participate in some of the initiatives already planned out. You will get impartial guidance and invaluable experience as you build long-lasting connections. What Are the Benefits of Capstones in a College Setting? With all of the credit hour requirements of an academic program, you might think that this is a time-consuming assignment that just overwhelms your already full schedule. Capstones cannot be rushed or completed by cramming in one night, but the benefits of these projects are undeniable. The experiences gained help you communicate effectively, think critically, use professional technology, and lead or service others. You will also learn how to organize your time, how to plan and coordinate a project from start to finish, and how to solve problems as they present themselves. The capstone experiences really do make a difference for serious students no matter what type of project you decide to do. If you are a very creative individual who can come up with original ideas easily, deciding what you can do in the business or community sector will not be difficult. If you are not as creative, there are several ideas online that can help you decide where to demonstrate your consulting knowledge. Make sure that you review the goals and the terms of your capstone just to verify that consulting will be appropriate to integrate the knowledge you have attained from various courses as you have studied for your major.